SACO — It was not an especially clean game by either team. But no one from Noble High’s softball team was going to complain. 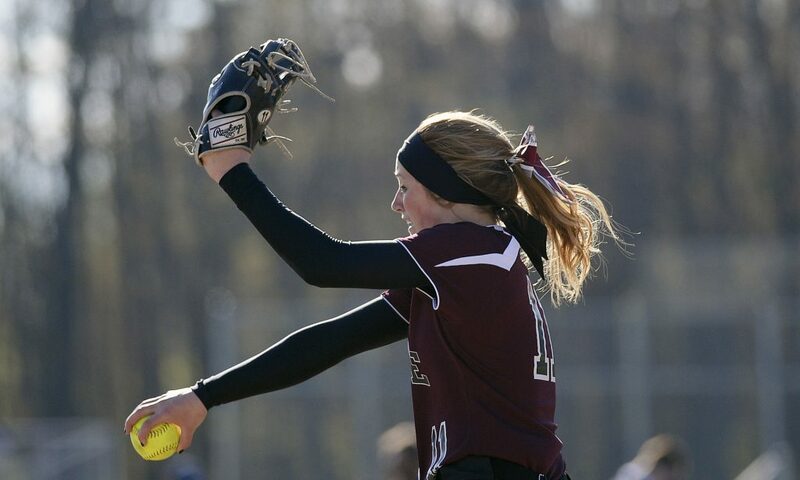 The Knights, behind the pitching of Raegan Kelly and a big swing by Abby Lewis, handed Thornton Academy its first loss of the season on Monday afternoon, beating the Trojans 5-3 in a matchup of two of the top programs in Class A South. Lewis hit a three-run home run in the top of the fourth that put the Knights ahead for good. Kelly used an effective change-up to strike out 10, including back-to-back Ks to end the game. 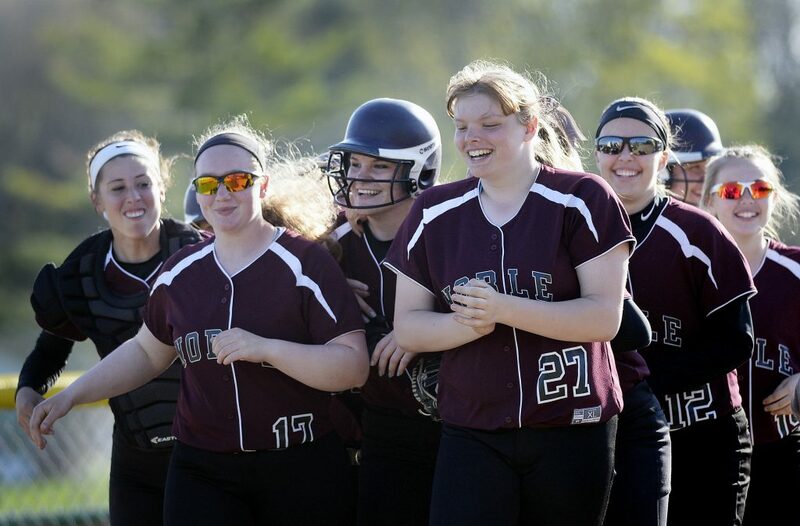 Noble is 6-1, its lone loss 6-0 to unbeaten Scarborough, while the Trojans dropped to 8-1. 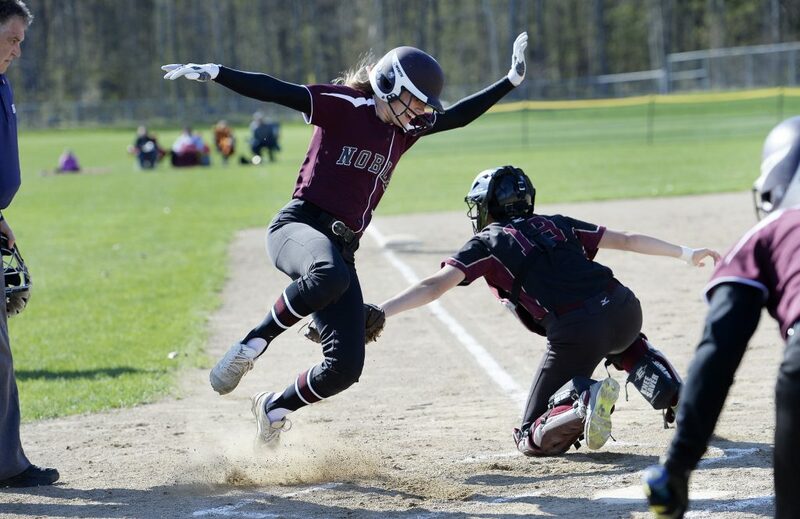 The Knights trailed twice, 1-0 when Kaitlin Verreault hit Kelly’s first pitch of the game for a home run, and 2-1, when Verreault scored on a single by Olivia Howe in the third. But Verreault’s home run also changed the way Kelly pitched. She used her change-up more to keep the hard-hitting Trojans off-balance. 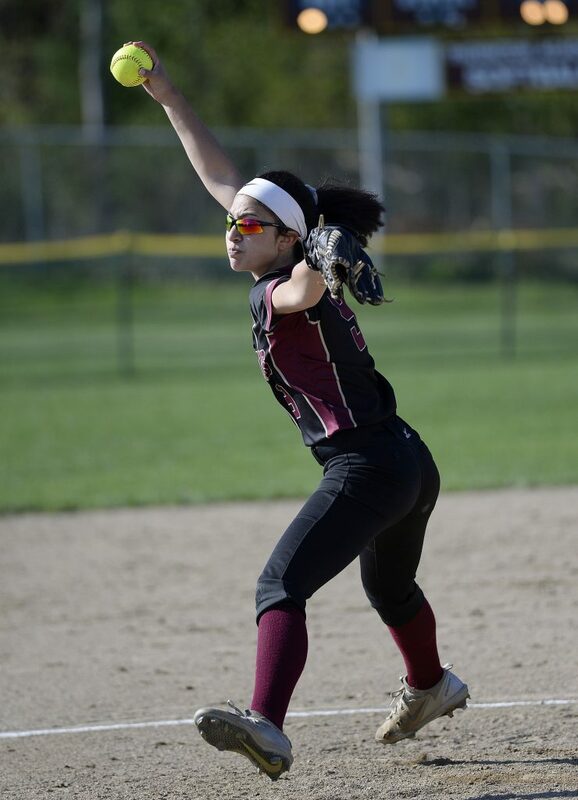 Noble Coach Rick Melanson credited senior catcher Mackenzie Aleva with changing the pitch plan. The Knights took control with a four-run fourth, then got out of a couple of jams behind Kelly’s pitching and good defense, especially by first baseman Jordan Boucher. In the fourth, Aleva led off with a single, one of her three hits. She went all the way to third on a sacrifice bunt by Kassidy Lessard, then scored on a grounder to short by Boucher – who beat the throw to first. After a walk, Lewis hit her first home run of the season, a towering drive over the left-center field fence. She sprinted the entire way around the bases before she was mobbed at home. “I knew it was going over right when I hit but I guess it just got into my head and I sprinted,” said Lewis. “It was amazing to see Abby Lewis, who works hard on her swing, drive one over the fence,” said Kelly. 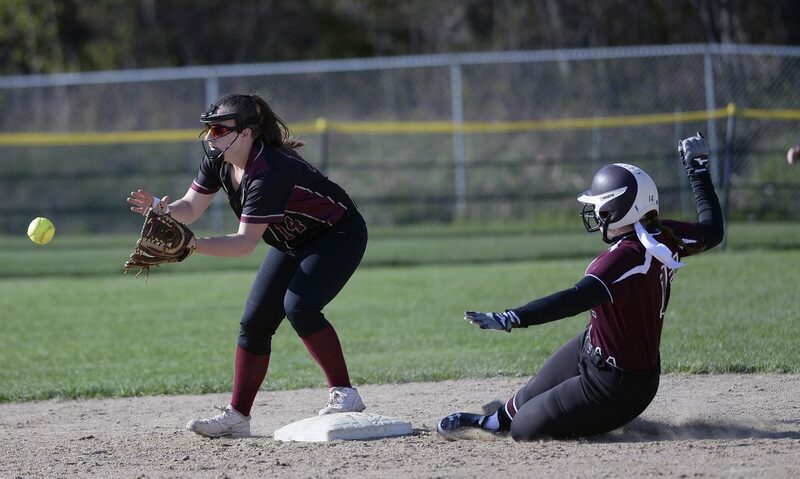 The Trojans came back with a run in the bottom of the fourth on an RBI single by Verreault, but also had a runner thrown out at home – a perfect relay from Lessard in center field to Kelly to Aleva – and stranded runners at second and third. Thornton put runners on second and third with no outs in the fifth, but couldn’t score.